Rising From the Hill takes the form of a process-based exhibition stemming from a six week long residency at Cow House Studios and collaboration with Art in the Contemporary World Masters Program in which artists were asked to explore and respond to the local environment and beyond. 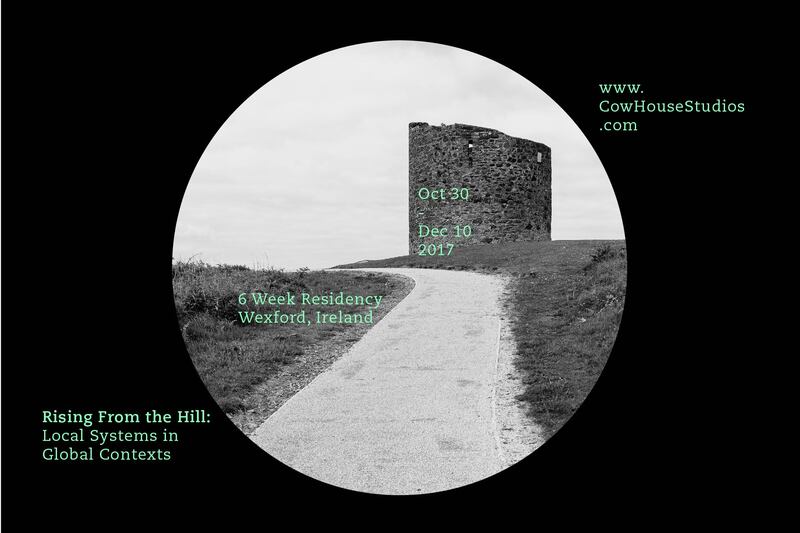 The artists in residence present their process, sketches and responses to a sense of place and connections to the environment of County Wexford, Ireland. Through on-going research, readings, material explorations, site visits and conversations with local residents of County Wexford the artists have focused on how society and human existence have shaped and defined the landscape. The exhibition, curated by Francis Halsall and Kelley O’Brien will showcase the works of Artists in Residence, Angela Jeradi, Rowan Lear, Charlotte Lagro, and Martina O’Brien.